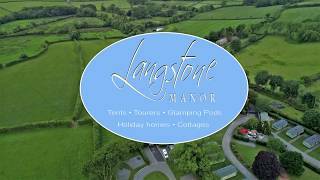 Situated on the southwest edge of Dartmoor, this holiday park has been developed in the grounds of the old Langstone Manor house. The touring pitches are tucked into various garden areas with mature trees and flowering shrubs, or in the walled garden area with views over the moor. In all there are 42 level grass pitches which vary in size (30 with 16A electricity). A new camping area is popular and has been terraced with open views over farmland and the moor. You pass by a number of holiday caravans on the way to reception and the touring pitches, where you will also find some holiday cottages and flats to rent. The ‘pièce de resistance’ is the unexpected traditional bar and restaurant in the Manor House, complete with a terrace that catches the evening sun. Open in high season and on demand in low season, it has an open fire (if needed) and games room. Approaching over a short section of the moor, you realise how well Langstone Manor is situated to explore Dartmoor by foot, by car or by bike (the park has direct access). The market town of Tavistock is three miles away and there is a wealth of National Trust houses and gardens to visit nearby. The facilities provided are to a very high standard and include a bathroom and private cabins. Laundry. Changing mats for babies are in both the men’s and ladies’ rooms. 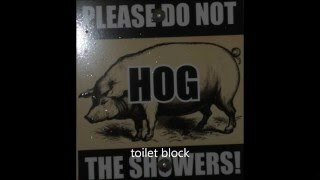 A private bathroom is available. Basic supplies kept in reception (order bread the day before). Bar & restaurant serving evening meals. Games room. Play area. Outdoor table tennis. Camping pods for hire. From Tavistock take B3357 Princetown road. After 2 miles turn right at crossroads (site signed). Pass over cattle grid onto the moor and follow site signs.